Could five nutritional supplements be the proverbial “fountain of youth?” Could taking these five supplements be the ideal life extension therapy? I added each of the five supplements to my diet as I came upon anti-cancer research for this website and my own learning as a long-term survivor of an “incurable” cancer called multiple myeloma. 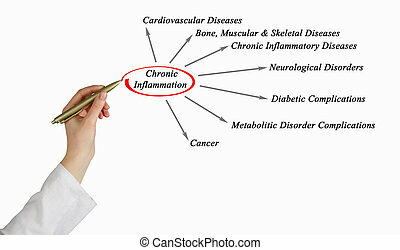 I came to learn that reducing inflammation is critical in reducing my risk of a secondary cancer but also in reducing my risk of many chronic diseases including Alzheimer’s Disease. These five supplements listed below are part of my diet and I recommend that you supplement with them as well. For the record I exercise frequently but moderately, I drink a glass of wine a few times a week and I eat a lot of fruits and veggies. Is it coincidence that five of the most effective nutrition supplements to reduce your risk of cancers and other chronic diseases are the same five supplements that also reduce inflammation in your body? Considering the study linked and excerpted below, is also coincidence that inflammation is the best predictor of successful aging? I am a long-term survivor of an “incurable cancer” called multiple myeloma. I’ve lived through aggressive conventional/traditional chemotherapy and radiation only to “fail” and told I was terminal. I pursued a controversial alternative medicine and achieved cancer-free status in early ’99 where I remain to this day. I supplement with the five nutritional, anti-oxidant, anti-inflammatory supplements below. I have no idea how long I’ll live obviously but I will admit that I enjoyed finding and reading the study linked below. Check back with me every decade or so and you can find out how I’m doing. We identify potential drivers of multiple dimensions of the ageing process up to 110 years of age. Inflammation is the prime candidate amongst potential determinants of mortality, capability and cognition up to extreme old age. Telomere length does not predict successful ageing in the very and extreme old, but centenarians and their offspring maintain telomeres better than non-centenarians. This title will be released on April 19, 2019.